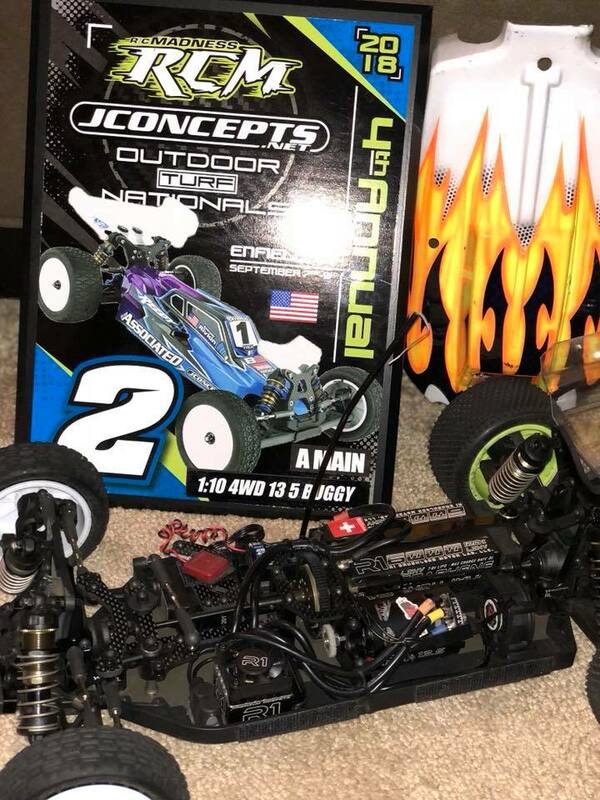 Congrats to Anthony Jesmond on his 2nd place finish at the Jconcepts Outdoor Turf Nats a couple weeks ago. RC Madness hosted the event. Anthony qualified 5th out of 31 in 13.5 Wheeler and did what he had to do to race up to a 2nd place finish. His buggy was equipped with an R1 V16 Rotor Ron tuned motor, R1 Digital2 ESC and 6000mah R1 shorty.